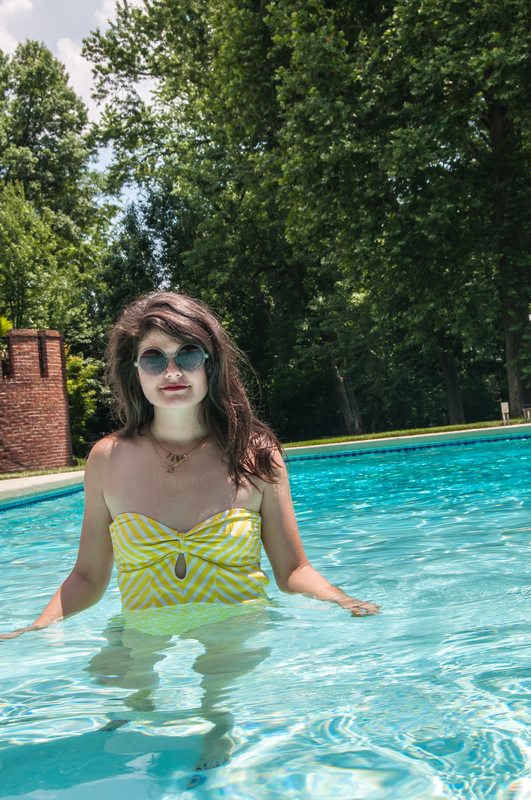 Summer time calls for bright yellow swimsuits and days spent lounging by water. Ideally i’d spend my weekends at a beach, but living in the Midwest puts a bit of a halt to that plan. I’ll settle for lovely friends with large pools. In addition to a bright one piece, I make sure all the essentials are with me. Then I get to sitting, with an occasional dip in the water. You know, to cool off. Wear it: for pool loungin’. Love that cover-up and so jealous of the pool. I read Animal, Vegetable, Miracle a few years ago and thought it was great. Hope you’re enjoying it! I love that swimsuit, it’s so classy! That suit is adorable! I never think of Old Navy anymore, but now I’m curious to see what’s on the racks.